This book is great for perspective teaching. The Lexile level is AD970L. 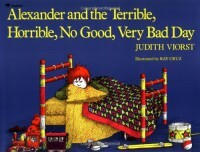 I would read this aloud in a 3rd grade classroom (it can be used in any grade level) and use Alexander's story to show that we all have bad days. How we react to those bad days is the most important lesson. I would then have children write at least 5 positive and happy things they can partake in after a bad day.